Sheila Stewart is the last in the line of the Stewarts o Blair, a travelling family who have made a unique contribution to the musical and oral traditions of Scotland. Her mother was the legendary Queen amang the Heather, the singer and storyteller Belle Stewart, and her father, Willie Stewart, was a noted piper. 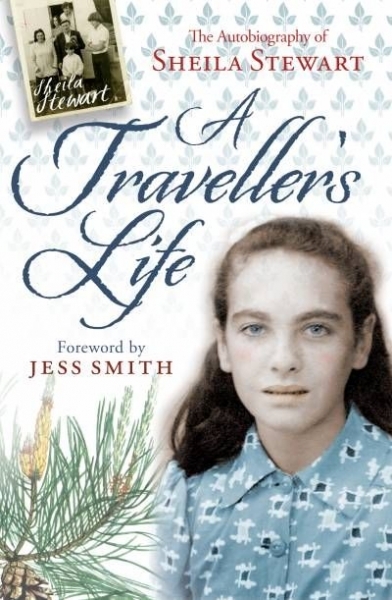 Sheila spent her childhood wandering with them all over Scotland, working on farms and experiencing all the highs and lows of the traveller lifestyle. From 1954 she sang in concerts with her parents and her sister Cathie, and they became stars of the folk scene. An acclaimed storyteller and ballad singer, she is in huge demand and has continued to perform up to the present day. This, her long-awaited autobiography, is graphic in its depiction of the sometimes harrowing circumstances of her life, but is also a tribute to the rich and dramatic tradition of which she is one of the last representatives.